Cook pearled spelt with same technique to that of traditional risotto rice. For this dish, Cyrille cooked the pearled spelt in a smoked bacon and mushroom stock. Finish with farm cheddar and salted butter. Garnish with fried bread, black pudding, fried quail egg, roasted cherry tomato and Abalone mushroom. While in New York last month, we enjoyed brunch at Park Avenue Winter, a trendy spot on the Upper East Side whose decor and menu changes with the season. As Cyrille loves nothing more than celebrating the best of each seasons’ produce, he was excited by the concept of this hot spot. A featured item on the menu was Breakfast Risotto. While we found the idea innovative, the end result was somewhat disappointing. Nevertheless it inspired a new dish of which Cyrille brought back to England to perfect. Last Sunday, Cyrille made brunch in our cottage—dress code– pajamas. Plated before me was one of the more inspiring dishes I have had in a long while. 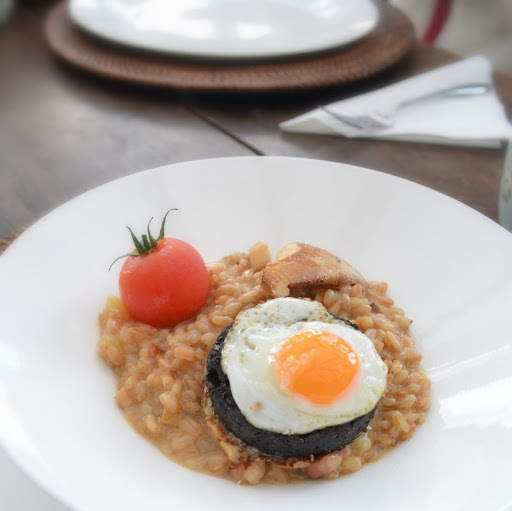 Cyrille took the traditional English breakfast* and gave it a gourmet makeover. Through his research he discovered the versatile use of spelt which gives the traditional Italian rice risotto a rustic twist. I leave the photo to speak on its own. In the spirit of Lent… This is my nomination for The Last Supper. Full English breakfast (n.) A must try meal for first time visitors to England. A traditional cooked dish featuring: a fried egg, sausage links, black pudding, mushrooms, baked beans, tomato and fried bread. This past Wednesday marked the first day of Lent. For 40-days, (most) Catholics and (some) Protestants give up something they think they cannot live without–chocolate, caffeine, checking their blackberry outside working hours, booze, etc. If you have failed to follow through with your New Year’s resolution… here’s a chance to redeem yourself. 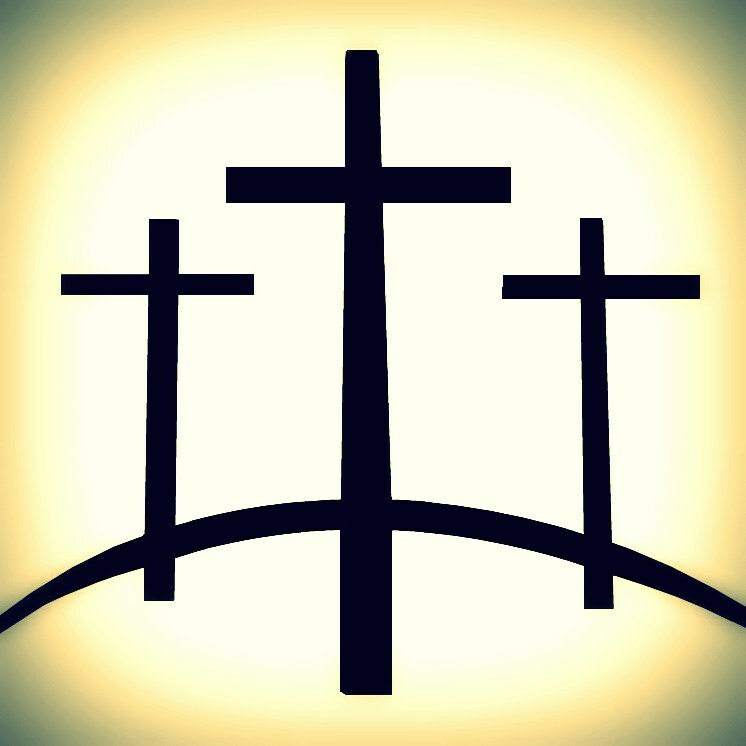 Though I typically do not observe Lent, it got me thinking if I did, what would I sacrifice for 40 days? And then I had an epiphany- at 3am aside my daughter’s crib. I have been observing Lent for over a year. What have I given up? Sleep. Ok—so not entirely. I still catch a few winks. I enjoyed eight hours of sleep a least two times last year. Next week Ouisie will knock out Round 13 (months) as reigning champion over Mr Sandman. The sand bags under my eyes confirm she is a fighter. I am back to work and, after a year out of the office, I do the following to keep ahead: make my morning coffee extra (make that a double extra) strong, apply two layers of concealer so as to appear well rested at the morning meeting, and repress the urge to sing aloud Twinkle, Twinkle Little Star around 2pm before curling under my desk for an afternoon power nap. 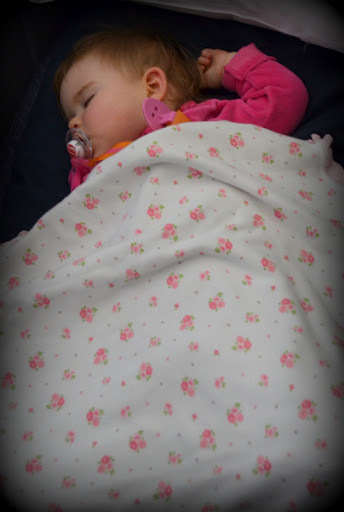 With week three under my belt, the baby brain cobwebs are thinning. The nursery rhymes are no longer on repeat and at full blast in my head. My negotiating skills are returning; although I find losing a piece of business harder after being a constant winner to Ouisie for the past year. Tomorrow is Sunday, a day of rest. I wonder if I could convince Mr Sandman to bring Ouisie an extra scoop of sweet dreams tonight… I think he has already delivered mine… time to take off the concealer and let the zzz’s have a chance before the 01:30 reveille. 43 days until Easter…hang in there. Your creative blogs get better and better . . . This is certainly one of your best! Congrats on a light, fresh and fun approach to motherhood, haute cuisine and Lent!